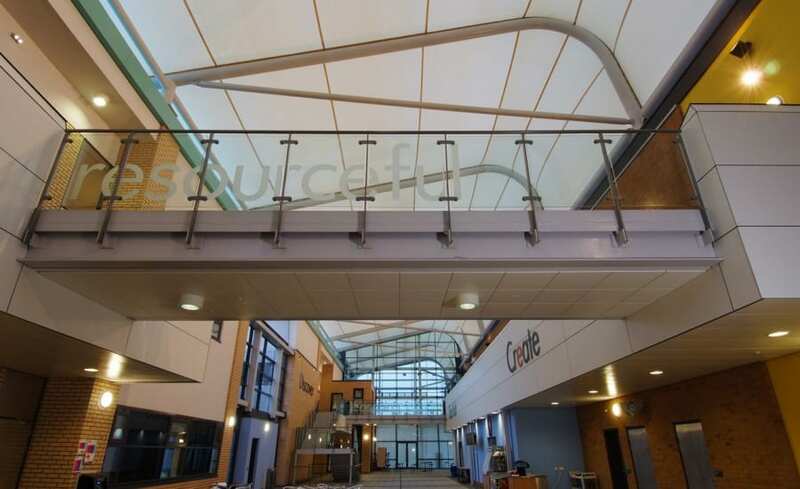 Architen Landrell was awarded the contract for design, manufacture and installation of a barrel vaulted tensile fabric roof over a school atrium in late 2006. Work immediately began to design the PTFE coated glass cloth structure which comprises seven barrel vaults covering over 700 square metres. 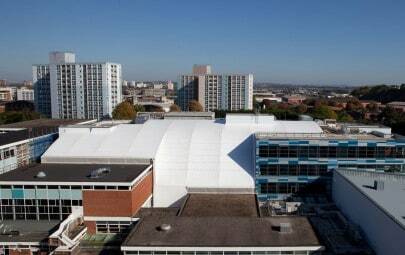 Fabric roofs are becoming increasingly popular in the school environment as learning authorities are expected to provide dynamic, interesting and versatile spaces in which pupils can learn. 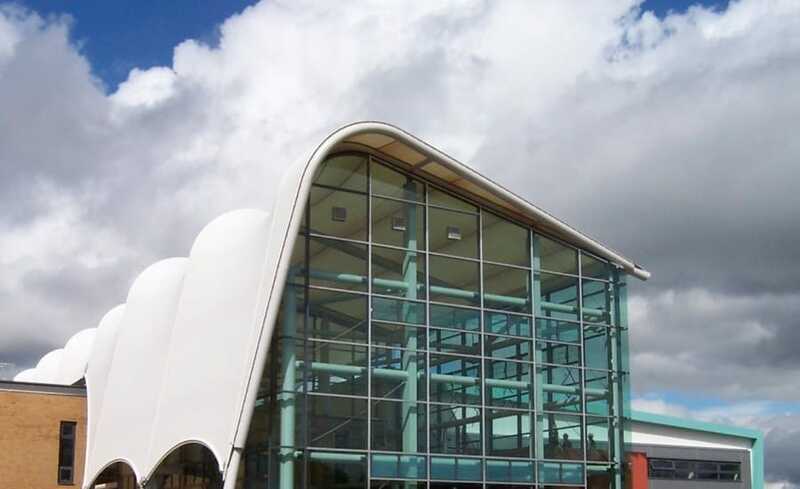 The fabric canopy at Cramlington School was designed to weather-proof the central street area and to provide a central focal point for the school – the GB Building team described the tensile membrane structure as a spine against which the four school blocks are grouped. 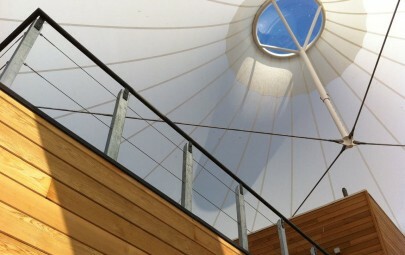 At Cramlington the roof had an additional purpose; to provide cover for the Biome Extension within the Junior Learning village. Named the Faraday Extension and based on the same principles as the Eden Project, the biome offers pupils the chance to study plants and climates from around the world. 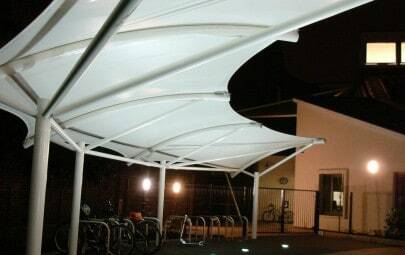 The tensile roof was chosen as the central feature of the flexible learning space. Architects Waring & Netts incorporated the covered atrium in a bid to support the diversities of learning by providing an adaptable space open to interpretation, and a space on which the school could stamp their own identity. 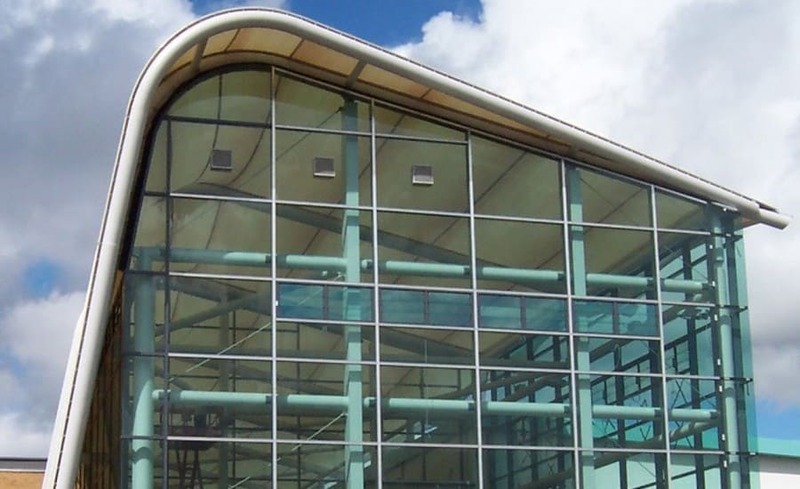 Architen Landrells project manager Mark Jenkins comments that the project was not straightforward to complete as construction took place around the existing school which remained open throughout. However, the school is very happy with the finished result, and the addition of the Faraday Extension made this a particularly interesting project to be involved in.